How do I determine if my property has a wildfire hazard? What can I expect with a REALFire property assessment? What does a REALFire certificate mean? Who are the REALFire property assessors? Who is eligible to apply for a REALFire property assessment? How much does it cost to register for the REALFire Program? How are REALFire property assessments different from other assessments available in the County? Can I be a renter and still request an assessment? Are there other programs similar to REALFire? How is this different from the national Firewise Communities program? Who is required to perform wildfire mitigation? Does a property assessment guarantee wildfire survival? Is there any financial assistance for my mitigation work? The best way to understand your property’s wildfire hazard is to request a property assessment. A property assessment will assess the home ignition zone, including features such as: the construction and combustibility of roofing and siding materials, windows, vents, decks; landscaping features (e.g., type and location of trees, bushes and other vegetation); location of other accessory structures, propane tanks, and storage of firewood. A REALFire assessment typically takes two to four hours, and property owners or caretakers are expected to be home for the duration of the assessment. Following the assessment, property owners will receive a report that lists required mitigation actions specific to their property. The list of required actions must be completed in order to earn a REALFire certificate. A REALFire certificate acknowledges a property owner’s completion of their required mitigation actions. It does not guarantee that a home will survive during a wildfire event. A certificate is issued/sent to the property owner upon successful completion of all required mitigation actions (as outlined in the assessor’s report), and an on-site follow up inspection. REALFire property assessors are fire professionals working within your area. Whenever possible, the program utilizes wildfire mitigation specialists from your local fire district or Eagle County. REALFire property assessments are available to all residential properties, including single family, duplex and condo/townhome. To apply, download and complete the application relevant to your property type. 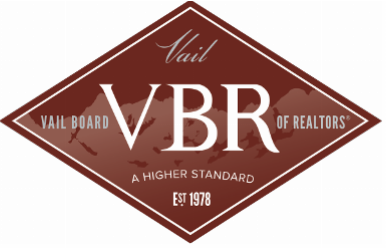 The REALFire program is offered free to successful applicants due to the generous funding support by Eagle County, Vail Board of REALTORS®, the Eagle-Vail Property Owners Association, the Berry Creek Metro District, and Singletree Property Owner’s Association in addition to state and federal grants. A property owner or an authorized legal designee (e.g., Property Owner Association Manager) must request and authorize the REALFire property assessment by signing the application. If authorizing a designee, the property owner agrees that this representative will attend the assessment and will be legally responsible for all decisions related to mitigation. Property assessments conducted under the REALFire program are NOT shared with insurance companies. Insurance companies typically collect their own wildfire hazard and risk information on individual properties through proprietary data gathering sources and/or field staff. Individual insurance companies vary in any wildfire mitigation requirements that may be associated with coverage. The REALFire program is pursuing potential opportunities with insurance providers to determine if property owners who receive certificates may be eligible for incentives. Examples from other areas in Colorado and the West, have set a positive precedent that property owners who have performed mitigation may be able to receive financial incentives and/or guaranteed coverage. Boulder County currently has a similar program underway called Wildfire Partners. Wildfire Partners was initiated through state and federal grants and is administered through the Boulder County Land Use Department. Nationally, there are many other programs that recognize the importance of in-depth property assessment. The REALFire program is the first of its kind to integrate funding and direct support from REALTORS®. Firewise Communities/USA is a national program administered by the National Fire Protection Association. Firewise recognizes neighborhoods that are engaged in wildfire mitigation, but the program does not quantify or track the effects of mitigation efforts on individual properties. To ensure individual properties are well prepared for wildfire, property owners should request a REALFire property assessment. Most properties within Eagle County will have some level of wildfire risk, regardless of their location in a wildland-urban interface zone. Embers from a wildfire can travel over a mile and ignite structures, increasing the vulnerability of many properties throughout the county. Mitigation techniques, such as modifications to landscaping and installation of fire-resistant materials, have been shown to reduce home losses during a wildfire event and increase firefighter safety during response. Although there are no guarantees, science and success stories provide excellent support for risk reduction. Colorado State Forest Service (CSFS) has information on grants and financial assistance for individuals, landowners, community groups and others. Their Grants and Assistance webpage provides more information, including an income tax subtraction for up to $2,500 for qualifying landowners who perform work on property located in a wildland-urban interface area.